Legislative committees discuss proposals to study health risks of prolonged computer use in schools, digital device warning labels. Are your children looking at computer screens right now? How much time do they spend staring at their cell phones and tablets? Is it safe for them to do that for hours? Those are some of the questions lawmakers will consider this week during hearings on two bills that could require digital product manufacturers to warn users about possible dangers of prolonged use, and require school districts to look into whether hours of computer time is safe for young students. Senate Bill 281, which requires makers of digital products to include warning health-risk labels, gets a hearing Thursday, March 28, before the Senate Committee on Environment and Natural Resources. The meeting is at 1 p.m. in the Capitol Hearing Room C.
Senate Bill 282, which calls for a state study to set safety recommendations for students' use of technology in schools, has a hearing Wednesday, March 27, before the Senate Committee on Education. The meeting is at 1 p.m. in Hearing Room B.
Deb Mayer of Portland is the driving force behind both bills. Mayer, part of the Oregon chapter of Parents Across America, asked state Sen. Laurie Monnes Anderson, a Gresham Democrat, to introduce the legislation. This week's hearings are the first time both bills have been discussed in committees since they were introduced in mid-January. Nearly a dozen people have submitted information or written testimony on each bill prior to the hearings. Mayer said the legislation is meant to trigger a discussion on the larger issue of whether it's safe for children to spend a lot of time in school and a home staring at computer screens. She points to dozens of studies showing the dangers of prolonged exposure to wi-fi signals and electronic waves produced by tablets, cell phones and computers. Many Oregon schools use tablets and computers in classroom lessons, which, when combined with hours of the same use at home, could be unsafe for children, she said. "I work with a lot of other people across the country who are worried about how much curriculum is delivered over screens," Mayer said. "There's no testing about how safe it is." Oregon's chapter of Parents Across America has about four dozen members, with a dozen or so who regularly meet to discuss legislation and other action, said Mayer, a retired educator. A group GoFundMe page hopes to raise about $2,000 to push for the bills' passage. Even though industry studies have for years downplayed dangers of prolonged computer use, Mayer is unconvinced. "We have to inform people that our environment can be toxic if we allow it to be," she said. A similar issue was front and center during a March 13 Portland City Council debate on a resolution to consider health risks of 5G wireless technology before approving a 10-year AT&T franchise agreement. The council approved the resolution calling for the Federal Communications Commission to study 5G health risks even as it gave a green light to AT&T's plan to bring 5G technology to the city. The city's resolution is nonbinding because the FCC regulates the broadband industry. SB 281's labeling requirement is similar to what the digital product industry does now by including a health-risk warning in operating manuals and some packaging, Mayer said. The bill forces companies to put warnings prominently on phones, tablets or computer screens. Under SB 282, Oregon's Department of Education and the Oregon Health Authority would have to study health risks and set guidelines for safe computer use in schools. 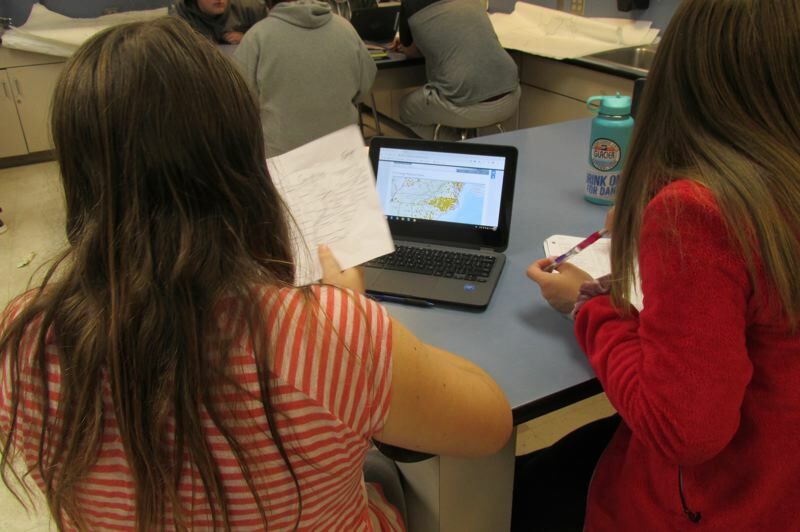 There are about 581,000 students in 197 Oregon school districts. Each district is required to have policies on use of personal electronic devices in schools. SB 282 would add health-based guidelines for classroom computer use to those policies. Mayer said the legislation's intent is not to exclude computers and tablets from classrooms. "We are not against the use of computer technology," she said. "We are for the use of safe, sensible, responsible use of technology." Similar legislation has sputtered in past sessions, but Mayer is hopeful it could be adopted this year. "It is my belief that Oregonians will care enough about protecting our children and the environment that they will demand legislators pass these bills," she said. "Unlike many bills that declare an emergency, these bills actually do. It is crucial that these laws take effect right away to protect the health and futures of our children and ourselves."